In order for autonomous systems like robots, drones, and self-driving cars to be reliably introduced into our society, they must be able to actively account for safety during their operation. While safety analysis has traditionally been conducted offline for controlled environments like cages on factory floors, the much higher complexity of open, human-populated spaces like our homes, cities, and roads means that any precomputed guarantees may become invalid when modeling assumptions made at design time are violated once the system is deployed. My research aims to enable autonomous systems to proactively ensure safety during their operation by explicitly reasoning about the gap between their models and the real world. In this talk I will present recent contributions to safety assurance for autonomous systems. I will first discuss new advances in efficient safety computation, and demonstrate their use in large-scale unmanned air traffic. Next, I will present a general safety framework enabling the use of learning control schemes (e.g. reinforcement learning) for safety-critical robotic systems in uncertain environments. I will then turn my attention to the important problem of safe human-robot interaction, and introduce a real-time Bayesian method to monitor the reliability of predictive human models. The talk will end with a discussion of challenges and opportunities ahead, including the introduction of game-theoretic planning in autonomous driving and the bridging of safety analysis and deep reinforcement learning. 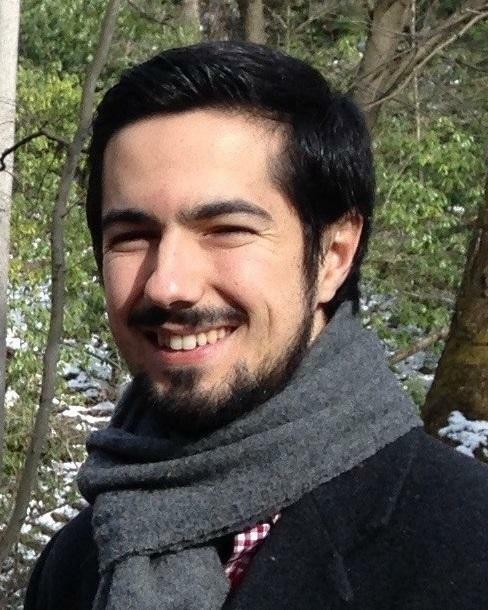 Jaime Fernández Fisac is a Ph.D. candidate in Electrical Engineering and Computer Sciences at UC Berkeley. His research interests lie in control theory and artificial intelligence, with a focus on safety assurance for autonomous systems. He works to enable robotic systems to safely interact with uncertain environments and human beings despite using inaccurate models. Jaime received a B.S./M.S. degree in Electrical Engineering from the Universidad Politécnica de Madrid, Spain, in 2012, and a M.Sc. in Aeronautics from Cranfield University, U.K., in 2013. He is a recipient of the La Caixa Foundation fellowship.